Your Home away from home with a Huge Bonus - A Non-Conforming Use Certificate, allowing the increased income opportunity of daily & weekly vacation rentals. you'll love the "Cool side" of the popular Waikiki Sunset. Central AC is a benefit for the hottest days, but you may prefer the breezes of this high floor unit that captures an array of views! Experience the colors of sunset, sunrise and frequent rainbows against the Ko'Olau mountain backdrop. This spacious 1 Bedroom offers a lanai and open living space that is turnkey ready. The excitement of Waikiki Beach, Honolulu Zoo, restaurants, shopping are only a few blocks away. Amenities on property include pool, sauna, tennis court, BBQ area and pet-friendly. 1 Parking Spaces. Guest Parking, Street Parking, Unassigned. 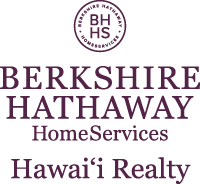 I am interested in 229 Paoakalani Avenue UNIT 1511, Honolulu, HI 96815. Sign up for Inside AccessTM to view recent sales near 229 Paoakalani Avenue UNIT 1511.